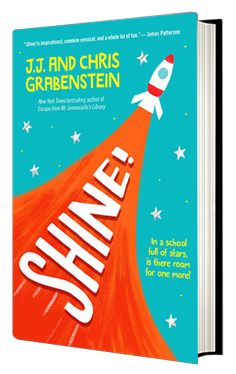 J.J. (Myers) Grabenstein is the co-author of Shine! 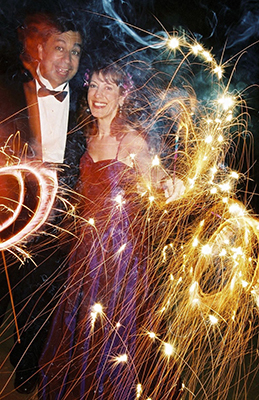 with her husband, the award-winning #1 New York Times best-selling author, Chris Grabenstein. SHINE! is the first book she’s ever written. But it’s not the first book she’s ever read. In fact, you can hear J.J. read you several of her husband’s books as the narrator for the audio versions of The Crossroads (An "Earphones Award" winner), The Hanging Hill, The Smoky Corridor, and The Black Heart Crypt from his haunted mysteries series as well as The Explorer's Gate, a fantasy set in New York City's Central Park. J.J. (who was known as “Jenny Myers”) grew up outside Detroit, Michigan. She was a cheerleader in middle school. 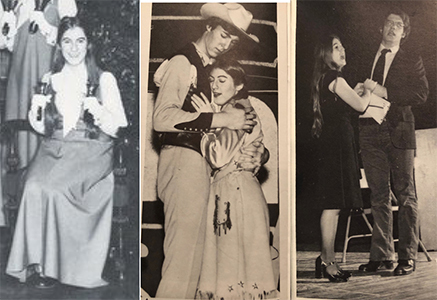 She also loved to ring bells, sing, and act in musicals. After she graduated from Northwestern University with a voice performance major, she moved to New York City and started auditioning for shows. 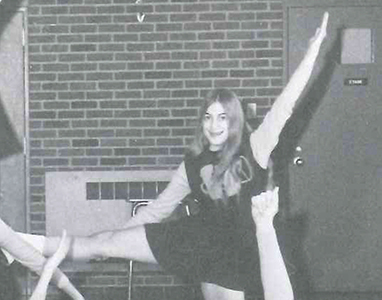 Before long, she was working in musicals and traveling all over the country. 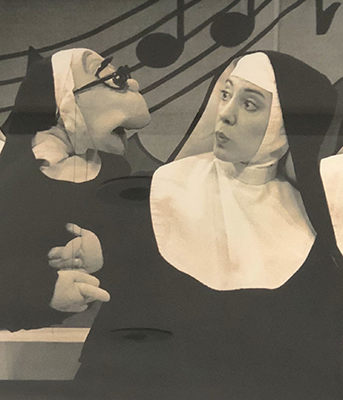 She had lots of different parts but one of her favorites was playing sister Mary Amnesia in an Off Broadway show called Nunsense! After being a nun for a long time, J.J. decided to do something completely different. 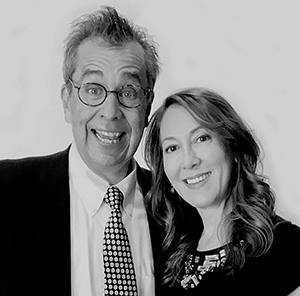 So she married Chris Grabenstein—the best children’s book author ever! (Actually, when they got married, Chris had just quit his job as a big cheese advertising executive. But, she had faith.) They were "mauied" in Maui, Hawaii on the 4th of July! Being married to a children's book author got J.J. thinking about the books she read as a kid. There was one story she wished she had read but she couldn’t because the book didn’t exist yet. So, she told Chris the story and they decided to write it together. That story was, and is, Shine!